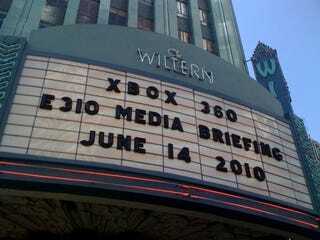 It's Xbox 360 E3 liveblog time here in Los Angeles. And you can watch the event live yourself. Look below for all your E3 news needs, as the biggest announcements from Microsoft of the week for Xbox 360 and Kinect go live at 11 a.m. PT. *Update* The Live-blog winner of the Black Nintendo Wii is "Bard of Awen" Congratulations!